Latest Lightweight Gold Necklace Designs are shown in this video with the price. beautiful 22 carat Gold Necklaces For Women in 10 Grams. 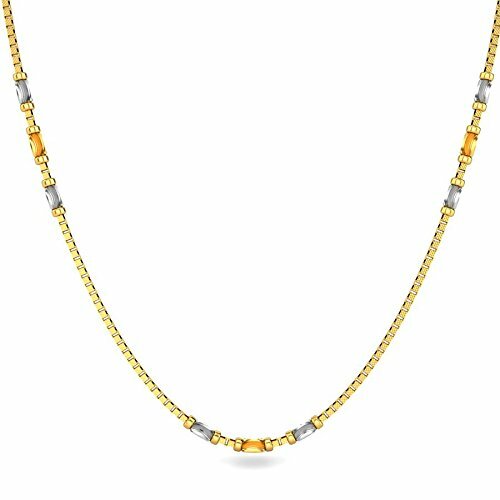 See the Jeweller at end of the video, alternatively, you can search for Gold Necklace Designs in 10 Grams Here on Amazon or Here on Flipkart. 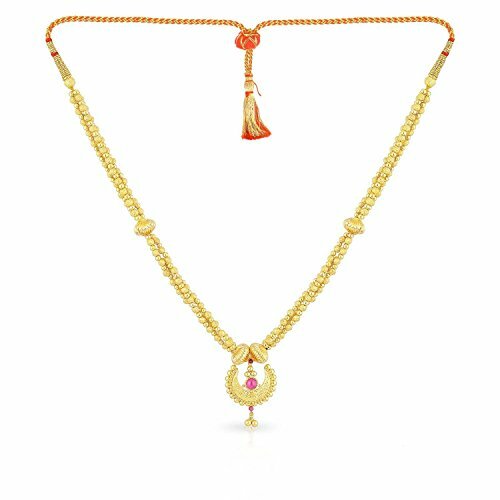 Scroll down to see a selection of 10 Gram Gold Necklace Designs available to Buy below. 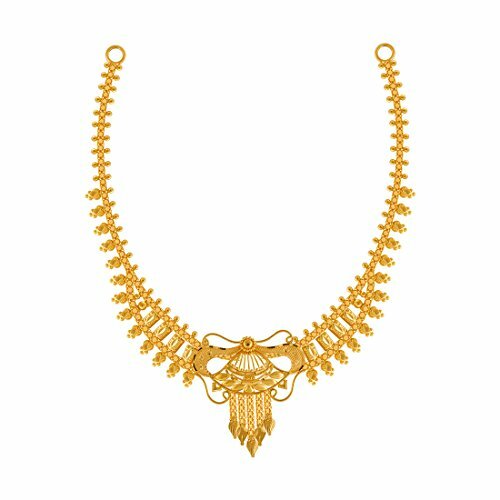 A fancy piece from Malabar Gold, simple and elegant with a fancy pendant attached and an interesting elaborate chain to bring it all together. Its made from 22kt Gold and is currently priced at around 40,000 RS. Something a bit more elaborate in the approximately 10-gram weight range, this piece is from PC Chandra Jewellers & Comes in 22kt Yellow Gold. The perfect piece for special occasions and comes in under 40,000 RS. A beautiful and elegant simple Gold Necklace, perfectly designed for Women looking for a daily wear piece. 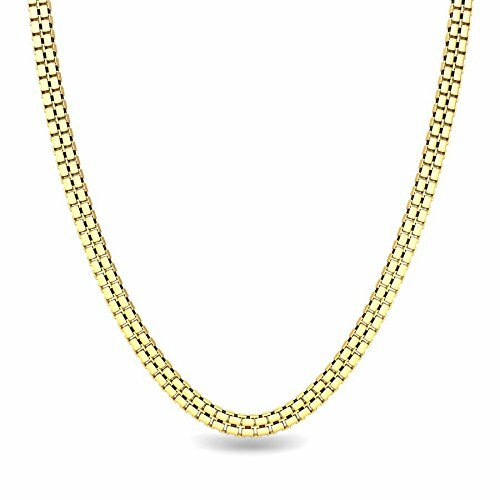 A simple Plain Gold Chain Necklace in 22kt Yellow Gold, Perfect for Men or Women alike. Looking for our featured Kundan Designs? We have been working on the set of videos and posts looking at the luxurious Kundan Designs. See Maang Tikkas, Nath Nose Rings and Gold Choker Designs at their finest, with the finest 22k gold and precious Kundan gemstones giving these pieces their incredible radiance.